Why is it that so many Christians are living defeated lives, never realizing the abundant life of which Jesus speaks of? On this CD, Philip DelRe will show you what God’s word says about kicking the sin habit. It begins by taking control of your thought life. What you think determines what you believe, and that determines how you live. Abundant living begins and ends with having a right concept, and thus a right relationship with God. 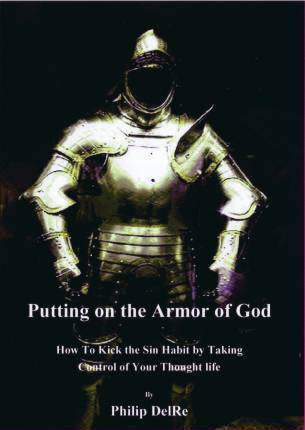 Be the first to review “Putting on the Armor of God--How to Kick the Sin Habit / 2 CD set” Click here to cancel reply.